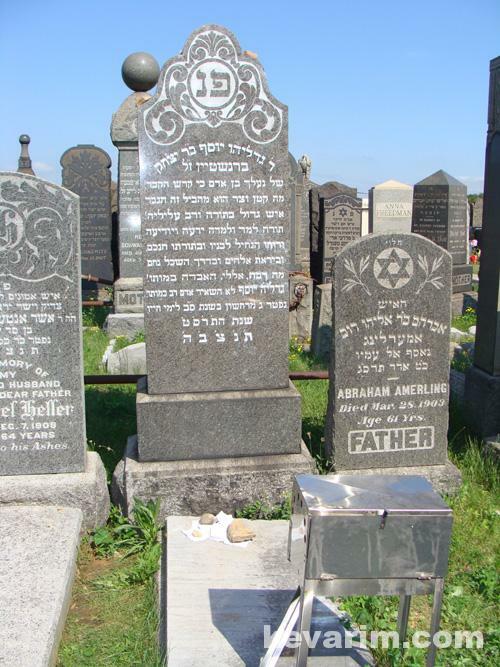 Rav Bernstein’s kever has become a magnet for people to come and daven to Hashem for yeshuos. Scores of people, men and women, from across the spectrum of Yiddishkeit, came to the kever on the yahrtzeit this past Erev Shabbos, and continue to visit. Dear YG, על מה ולמה? המבלי אין קברים בניו יארק והגלילות? 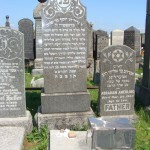 Why does a kever of an unknown yid, לכל היותר just another one of the 100’s of מסדרי קידושין in America of שנות הת”ר attract more people the then the Kevorim of the Gedolim and well known rabonim ve’eini hueida like Rav Gavriel Zev Margolies z”l or Rav Avraham Ahron Yudelevitch z”l? 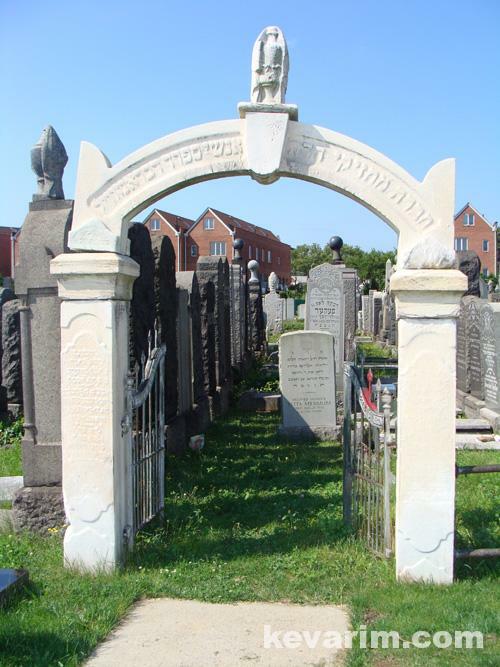 Great Rabonim, ת”ח and מס”נ yidden, who sacrificed their lives for the yiddishkeit of אחב”י in America? Rav Bernstein must have special zechuyos that crowds of people are visiting his kever. Regarding the matzeivah, we are cautioned to be careful to write the truth, otherwise the niftar suffers, so one can presume that he was a baal madreiga, as appears from the text. YG, sounds like you have no idea who Menachem Mendel Dolitzky was. Farshlufen: WAKE UP! 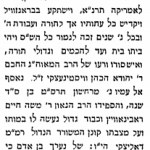 It says Dolitzky was “mkonein u’meshorer”, not that he composed the actual nusach of the matzeivah. If you read the text on the matzieve and the text of Eisenstadt, you understand that that’s what he is referring to. ואם יתעקש המתעקש, שאכן הרב ברנשטיין היה צדיק תמים בדורותיו, וממילא פועל ישועות (כשהוא) בקרב הארץ, תקשה מכ”מ למה לא זכו הרבנים שאכן היו מפורסמים בחייהם כרבנים מובהקים, יראי השם וחושבי שמו, שנלך להדליק נר על קברם, והקול קול מבשר יבשר ואומר, בואו ונעלה לציון של הגאון הגדול ר’ גבריאל זאב מרגליות זצ”ל או לציונו של הצדיק ר’ שמואל מרבינו-קויפמאן ממיראפאל, או לר’ אלטר שאול פעפפער זצ”ל, והרשימה ארוכה מארץ מדה. אין זה כי אם פראפאגאנדע בלי שום משען ומשענה, דאמירן בעלמא ואמרו אמן. Amazingly, this place became extremely popular and frequented weekly + kaleidoscopically, virtually almost by any genre. It’s the convenience of location (right between Boro (no longer a) Park and Midwood) and mostly because of the many rumors circulating about yeshuos. It’s very accessible via Bay Parkway, parking no problem + easy to get to it. I was there yesterday. Hundreds of people came there non-stop. Zol ehr zayn a melitz yoisher. Farshlufen – interesting, any info on him…? those who denigrate his being a true Tzadik. 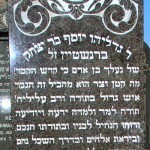 recognize him as the true Tzadik that he was. I am not sure why he is posted at all? 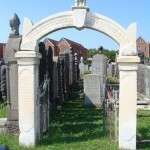 Maybe he was a choshover yid, but he was not a Rav and this site is only for Rabbunim and Rabbis.